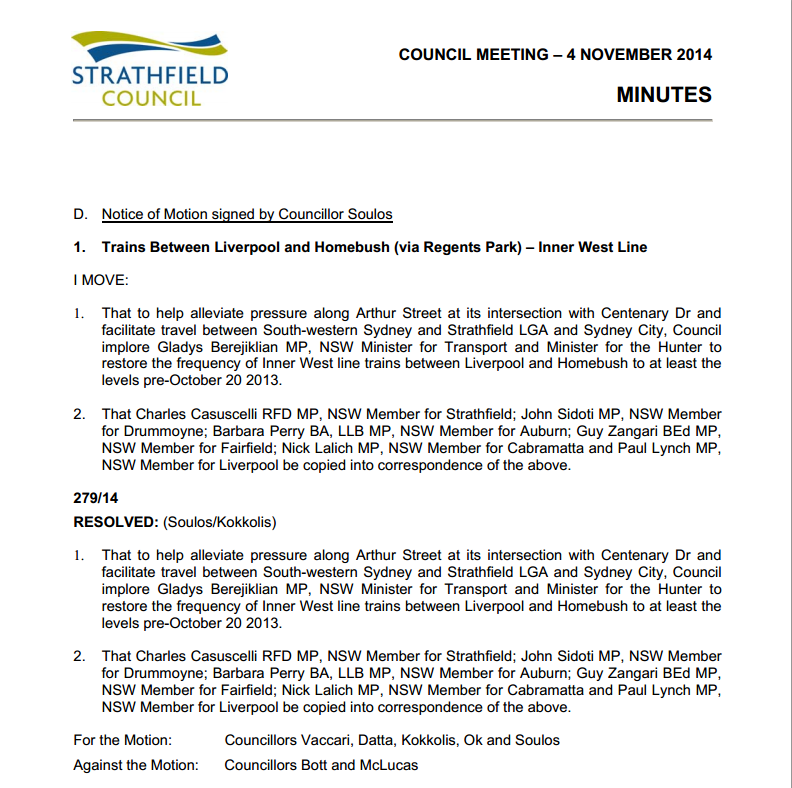 Strathfield Council has passed a motion in support of Restore Inner West Line. The motion was moved by Deputy Mayor Andrew Soulos. Strathfield Council's motion is the second motion calling on the State Government to re-instate train services. Auburn Council Mayor Hicham Zraika moved a mayoral motion in November 2013 regarding the lack of train services for Berala and Regents Park.